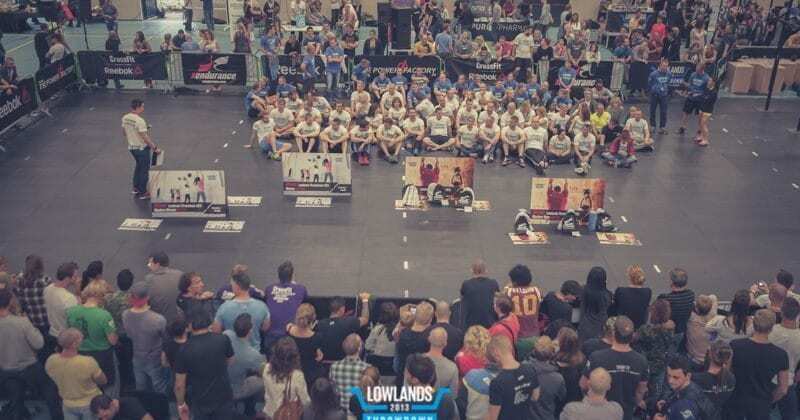 The sense of community at CrossFit is unique; everyone knows one another, there is always someone to help with technique, you compare WOD results, discuss competitions etc. This doesn’t happen in regular gyms, no one speaks to one another except to occasional ask “are you using this?” At CrossFit you know names, life stories … you know the people, they are your. But why is this community so important? The community at CrossFit always provides support. How often have you encouraged others that haven’t finished the WOD yet or even been cheered on yourself? Often people stay behind after they have finished their workout just to provide moral and verbal support to another CrossFitter who is completing a qualifier for competitions. The best example of this was Sam Briggs during the live 13.5 workout. She finished her workout and despite her exhaustion then encouraged Camille LeBlanc-Bazinet to get back to the bar to squeeze out some more reps, even though they were competitors. The importance of social support is that it provides motivation. When we’re tired and are struggling to complete a workout we begin to doubt our ability to finish, having people encourage us gives us the belief that we can do it! This happened to me most recently during the CrossFit Games workout 13.2. I’ve never managed a STOH at 52.5 kg but told my judge that I was going to give it my best shot however I wasn’t really hopeful. My judge replied “Don’t worry you got this!” and encouraged me throughout the whole workout and in the end I managed 20 reps in total at 52.5kg! Without that encouragement I probably wouldn’t have put so much effort in as I didn’t believe I could do it. CrossFitters always come together when facing tough workouts, we push each other to perform better and faster than ever before. As I demonstrated, we can manage to complete workouts we didn’t even think were possible! The support of the CrossFit community even affects us physiologically, changing the hormones in our bodies. Research at Oxford University found that working out in a group resulted in a greater release of endorphins than when working out alone, even when the same amount of work was done. Endorphins are chemicals in the brain that create a sense of excitement, exhilaration and happiness. The release of endorphins is what causes that high you feel when you finish a workout; sometimes known as a “runners high”. The CrossFit community is also special because it is full of like-minded people who think it is acceptable to give an all-out effort and train as hard as you want. In a traditional gym, if you carry out a 2k row with 20 air squats OMEM, you would get a lot of funny looks as you jump on and off the rower. Especially when you collapse to the floor afterwards trying to gulp in air for 5 minutes after you complete your workout! At CrossFit the community welcomes and encourages you to really test your ability to go all out! We can scream and grunt as we lift heavy weights, we can fall to the floor in a sweaty heap after using the Airedyne, we can cry with frustration, even laugh at disasters. This is a special environment filled with incredible people who think it’s ok to do what you want and will even try and help you achieve your goals. The sense of community, sometimes known as a ‘cult’ outside of the box, is one of the special features of CrossFit. Working out within our CrossFit community makes us feel good and encourages us to push ourselves to new limits that we didn’t think were possible. It is a special thing that we can develop further by welcoming new members and making them feel that they accepted as part of that international family.